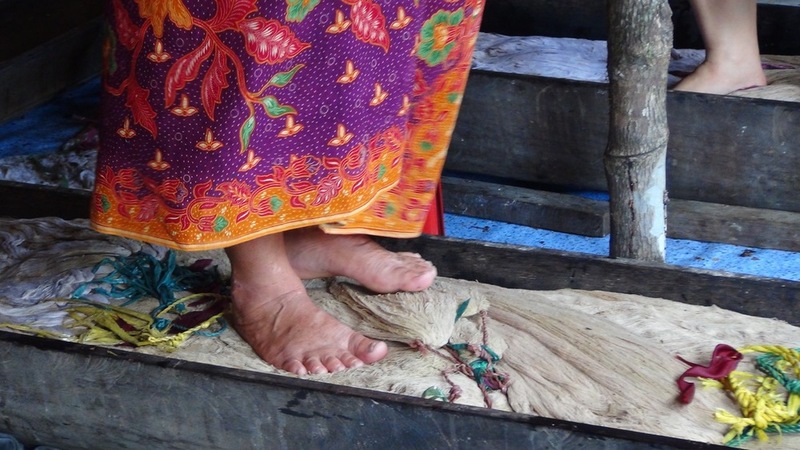 ‘Pua’ in Iban means blanket and ‘Kumbu’ is to wrap (source here) is a traditional cloth made and designed by the Iban people. 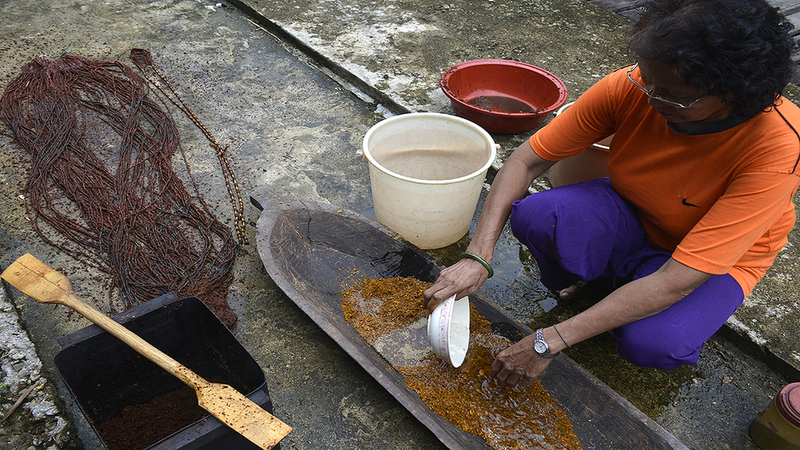 Here we feature the Ibans from Rumah Gare, whom have generously shared with us the folklore and process of hand making these delicate works of art. Dr Welyne Jeffrey Jehom led this project with the objective of keeping this sacred tradition alive and sustainable. 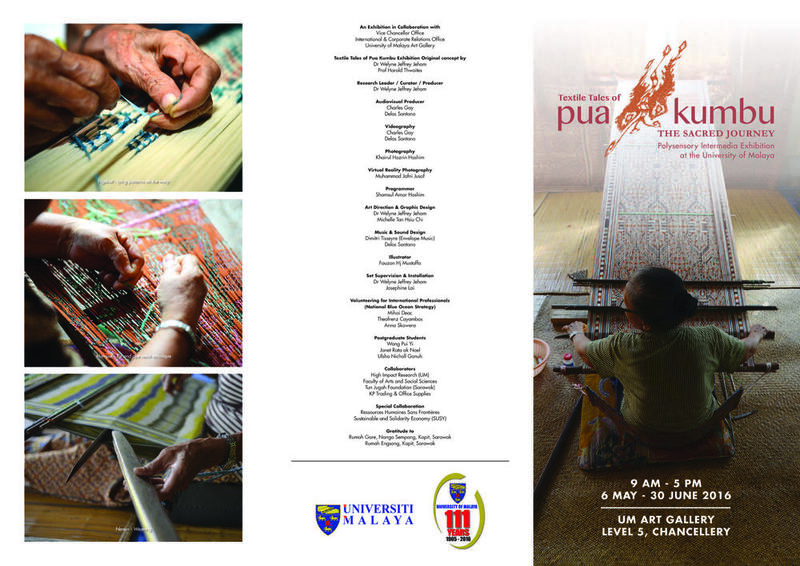 Dr Welyne also holds a gallery for these works of art at the University of Malaya under Textile Tales of Pua Kumbu. B: Could you describe your project and project title in brief? 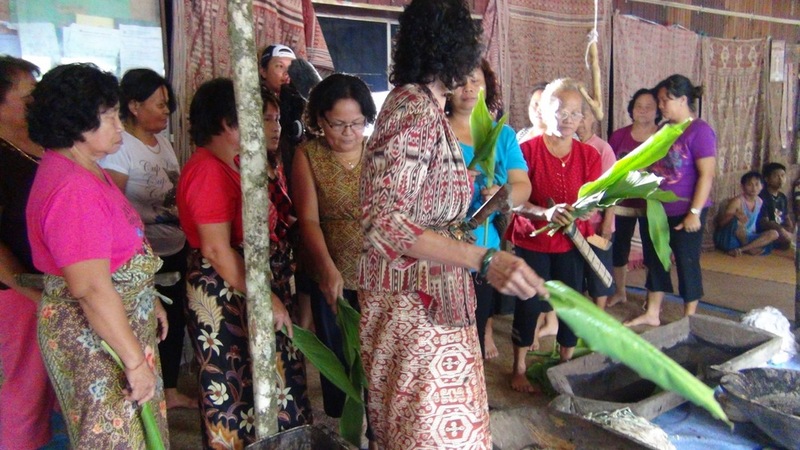 WJ: This project, led by Doctor Welyne Jeffrey Jehom, comes in support of the Weavers IBAN, whose majority is composed by women, with the aim to develop the sale and the weaving of traditional textiles. 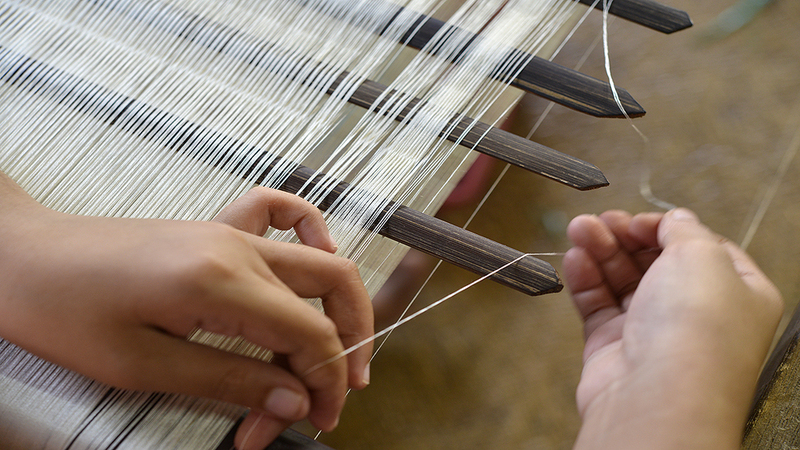 The traditional textiles, called “Pua Kumbu”, are recognized by the public as remarkable pieces, which require ancestral skills and lots of time to be produced. 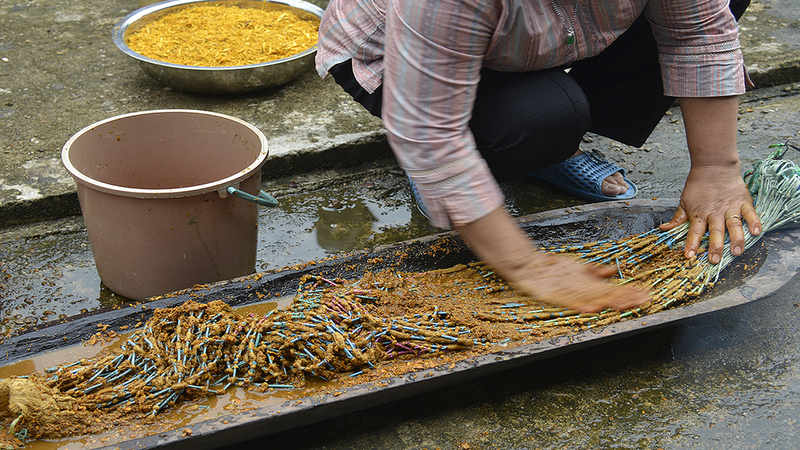 WJ: The pieces of textile are sold at a right price, which grant the weavers a decent salary. 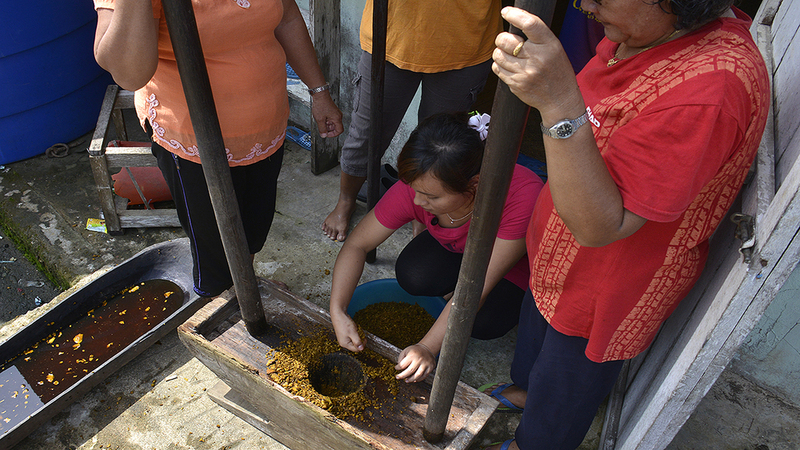 The development of this project allows the preservation of the IBAN culture and enables to contribute to the development of the local community. a. The origins of Iban weaving The folk tradition of Iban weaving tells the story of Dara Tinchin Temaga, the daughter of the god of war, Lang Singalang Burong courting an ordinary man, Menggin. The story starts with Menggin, an Iban hunter who shot a beautiful bird with his blowpipe. As he ran to retrieve his game, what he found was a woven skirt instead of a bird. He kept the woven skirt as he had never seen one before. As he walked back he stumbled on Dara Tinchin Temaga. She kindly asked Menggin if he had seen a woven skirt. Menggin told Dara Tinchin Temaga about the bird he shot with his blowpipe that turned into a woven skirt. Dara Tinchin Temaga claimed her woven skirt and soon, they were married, and had a son, Sera Gunting. Dara Tinchin Temaga wove a pair of baju burung, jackets for Menggin and her son. She told them that if they would like to follow her home, the other world, they have to wear the jackets. When Dara Tinchin Temaga decided to return to her home, Menggin and Sera Gunting donned their jackets and accompanied her. Lang Singalang Burung posed a series of trials for Sera Gunting as he did not believed that he was his grandson but Sera Gunting passed every trial at ease. Finally, Lang Singalang Burong acknowledged Sera Gunting and taught him the rules of adat, customary law of the Iban, bird augury relating to farming and warfare, the ritual treatment for trophy heads, rituals for the dead, and all the rest of vast corpus of Iban law (adapted from Margaret Linggi “The ties that bind” (2001) & story told by Bangie ak Embol). WJ: Borneo crafts has been neglected for a long time unfortunately. The craftsmanships have not been promoted at schools to allow our younger generations to learn or at least to be exposed to these traditions. Artisans continued their passion without having an opportunity to pass it down to the next generation and most of the intangible knowledge of the craftsmanship has not been recorded and communicated only by demonstrations and orally. Our project is engaging the artisans with the skill of teaching and giving them the opportunity to share the intangible knowledge of weaving to the other men or women who are interested to learn. The weavers are encouraged to continue weaving by giving them yarn to weave and process through a structure of fair share partnership. 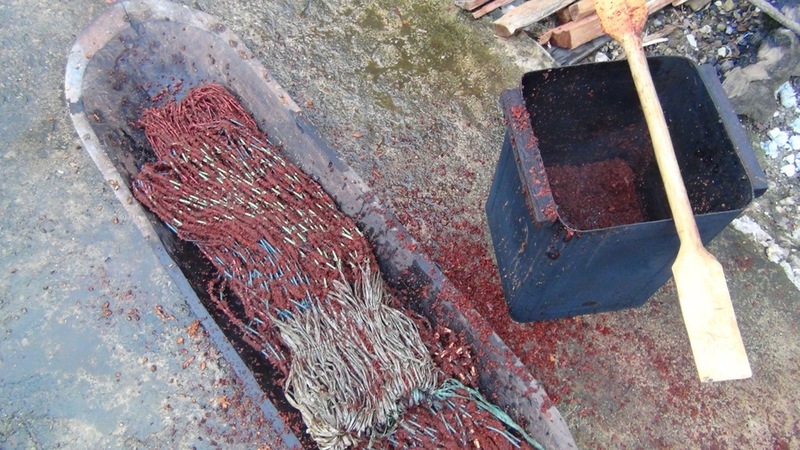 They are paid by calculating their labor cost, skill, level & scale of the designs and type of dyes plant. In general, it is RM35 per sq. However, this payment is not standard because there are others who commissioned them to weave using a different method of payment. When the younger ones realised that weaving can actually become a sustainable source of income, they will be interested to learn because after all, it is not just about passion and tradition. 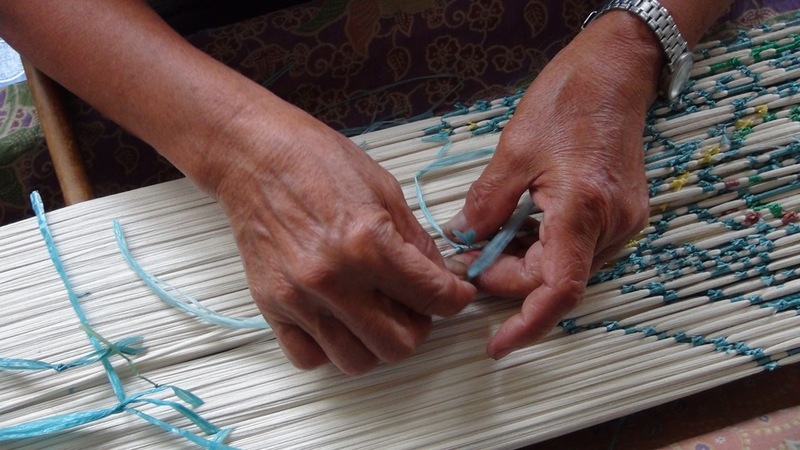 Money is one of the main reason to determine whether the younger generations are going to pick up weaving as their "career". B: How could people access your project at the moment? Is there any public participation/volunteer you allow in your project/group?Do you have any plan to bring awareness to the wider public? WJ: From March till June this year, I have 4 volunteers from Volunteering International Professional under NBOS (New Blue Ocean Strategy) - Ministry of Finance project. Public participation is a bit challenging because it requires a lot of arrangement, especially when longhouse is not so accessible. However, the project receive applications of internships from overseas such as Belgium and France but so far not from local interns. Volunteers with skill and knowledge of working with grass root people are very much welcome. Bringing awareness, is the main objective since the inceptions of this project. Under this project, Textile Tales of Pua Kumbu was organised last year in 2015 for the first time that brought over 2000 people from the public and schools in just within 25 days. This year, the 2nd series is up from the 6 May until 30th June. 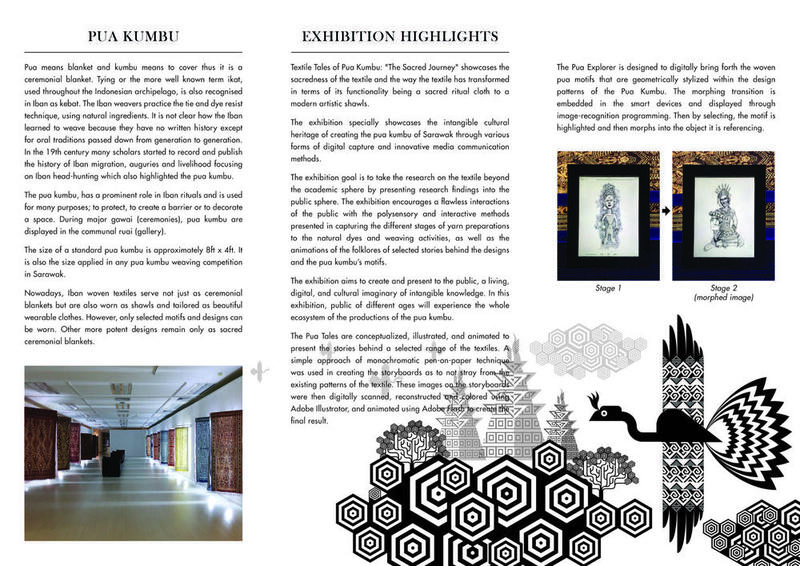 The way pua kumbu is presented in this exhibition is very different in the sense that it allows visitors to be immersed with the whole experience of knowing the details of pua kumbu productions, from the yarn process, natural dyes methods and sourcing and weaving process through visual, images and morphing programming as well as encounters with folklores behind selected pua kumbu presented in animations. Please refer to the brochure attached. B: Tell us more about how this project helps passing down weaving knowledge to future generation? WJ: Firstly, this project built its foundation with researches and database that could be referred by other practice in future. Secondly, we start seeing weavers teaching young potential weavers. WJ: Keep the tradition, don't alter cultural heritage, learn the intangible knowledge carefully as the originals ideas can always be reproduced but artifacts would just rot or damaged. B: Where and how can one obtain your finished pua kumbu products and hence support the Iban weavers of Gare? WJ: At the moment we have facebook group known as Iban Sg. 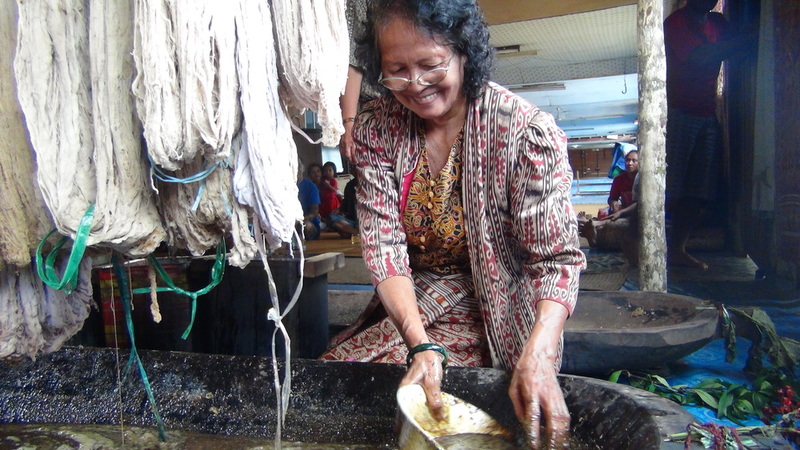 Kain (Sungai Kain is where the weaver group's longhouse located. 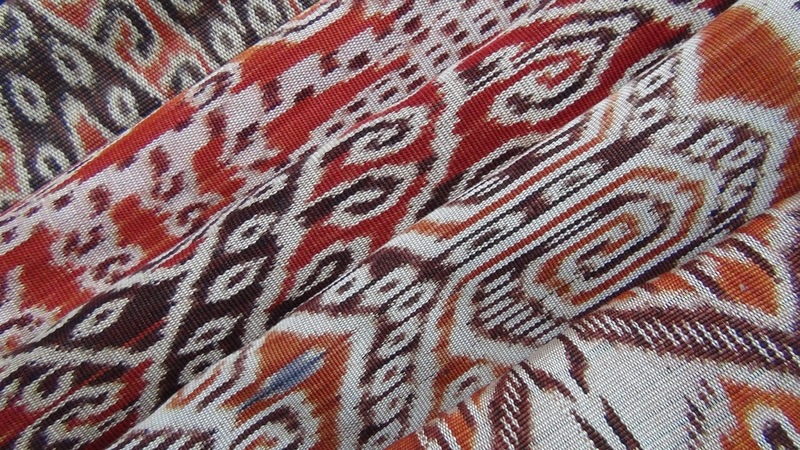 We also have a website: rhgareh.org However, Pua Kumbu brand is new to the market. We launched with limited quantity to test the water. Fortunately, it has been quite well received and always sold out. Currently, one of my fellow is getting our e commerce website ready by June. Our products sales hopefully multiplied by then. Most of our productions now is based on orders and customised production to adapt customers preference in sizes, colour and yarn. We are still learning.